Stunning orange and white 2 piece dress in excellent condition with over 200 swarovski crystals and has excellent stage presence. The jacket is made from vibrant orange velvet with white aplique edged in black. The sleeves are white with a sequin overlay. 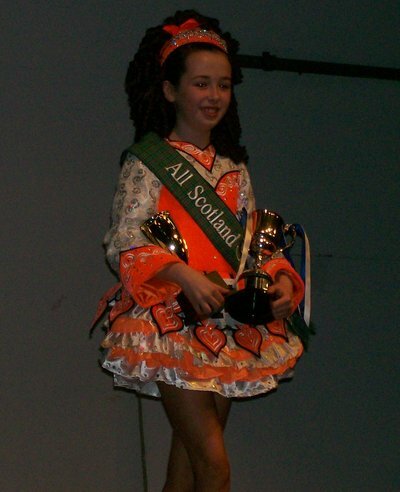 The skirt is a rara style with white and orange ruffles. The dress comes with matching headband and kick pants. Asking Price: £300. Shipping costs not included. Sale is final.